For the anxious longing of the creation waits eagerly for the revealing of the sons of God… For we know that the whole creation groans and suffers the pains of childbirth together until now (Rom 8:19, 22). The whole universe is groaning, waiting and calling us forth as his children, every one of us, God’s sons of light. Whether you know it or not, you are called to be a true son of the light, a fully matured son of God, in order to change and transform the whole universe in which we live. We are to bring everything back into the order God always intended from eternity past. That is how we are to answer creation’s call. While you have the light, believe in the light, so that you may become sons of light (John 12:36). You are all sons of the light and sons of the day. We are not of the night, nor of darkness (1Thess 5:5). Then the righteous shall shine forth as the sun in the kingdom of their Father. He who has ears, let him hear (Matt 13:43). God wants us to hear what He is saying. There is a sound coming from heaven in these days, which is calling forth the children of God to be revealed on earth. It is calling us to be like Jesus, to say the things that Jesus would say and to do the things that Jesus did. So that you may become blameless and pure, children of God without fault in a crooked and depraved generation, in which you shine like stars in the universe (Phil. 2:15). God wants us to be shining like stars in the midst of all the darkness that there is in the world, so that we bring light and transform that darkness. The world is only dark because we are not bringing enough light. God wants to manifest His light through us. It is our destiny to restore light to the whole universe as revealed sons of God. God wants to reveal us. He wants to show us off and to demonstrate who we are, because it will demonstrate who He is. Everything Jesus did on the earth, He did as a man. He gave up His majesty and came to live among us. He was anointed by the power of the Holy Spirit to do everything that He did. Jesus did not do it as God. So we have no excuse. If He had done it as God, we could legitimately say, ‘we cannot do that, because we are not God’. He did it as a man to show us what is possible for sons of God, operating in the power and authority of God’s kingdom. We are joint heirs with Christ. He conferred on us all the authority and power He had, and sent us out with it into the world. When we look and see what Jesus did, it should be our goal and our aim to do the same things (and greater). Therefore Jesus answered and was saying to them, “Truly, truly, I say to you, the Son can do nothing of Himself, unless it is something he sees the Father doing, for whatever the Father does, these things the Son does in like manner” (John 5:19). Jesus had his eyes on the Father. He lived in the realms of heaven and earth at the same time, all the time. He could see something happening on the earth, look into heaven and see what the Father was doing in that situation, and cooperate with it. That ability came out of the level of intimacy of relationship He had with His Father. The Father was in Him and He was in the Father. He lived that way as a man, and so can we; some of us are just beginning to grasp the reality of these things. But it will take a thorough reordering of our priorities, plenty of practice in developing our spiritual senses, and a radical transformation in us. We are supposed to rule over and change some of the things we see happening. We are not to be under the circumstances but over them, because we come with a higher level of authority. We are called to bring heaven to earth, in us, through us and around us. …those who receive the abundance of grace and the gift of righteousness will reign in life through the One, Jesus Christ (Rom 5:7b). We must realise we have been made righteous. We receive righteousness, right standing before God, not because of what we have done, how good we are, how smart we are or any of those things. It is a gift, and because of that gift we can reign in life. To reign is to have authority over and to rule. It is to administer the existing laws and to enact new ones where they are needed. But to handle that kind of power and authority we will need to be wholly submitted to God and know that He has made us righteous. For I say to you, unless your righteousness surpasses that of the scribes and Pharisees, you will not enter the kingdom of heaven (Matt. 5:20). That is a challenging statement and much misunderstood. On the surface the scribes and Pharisees looked really good. They tried to keep the external provisions of the law, but in reality God was not interested in what they looked like on the outside, but rather what was going on inside them and motivating their hearts. Were they doing the will of God or were they doing things for their own selfish gain and purposes? Not everyone who says to me, Lord, Lord, will enter the kingdom of heaven, but he who does the will of my Father who is in heaven will enter. Many will say to me on that day, Lord, Lord, did we not prophesy in your name, and in your name cast out demons, and in your name perform many miracles. Then I will declare to them, I never knew you, depart from me, you who practice lawlessness (Matt. 7:21-22). If He did not know them, that means they were not intimate with Him. That is how they came to be doing things for their own motives, which is what ‘lawlessness’ means. We can do good things for our own motives and completely miss out on God’s best for us. Jesus had no agenda of His own, but only did the Father’s will. God is not fooled. He is always looking on the inside rather than the outside. He knows our hearts. He knows what is motivating us and why we do what we do. We can fool each other by behaving in a particular way so that we fit in and are accepted. If we are trying to hide from God what is going on inside us, it will hinder us from being intimate with Him. He knows who we are and what we are. He knows who He created us to be. He knows all the work that still needs to be done to make us like Jesus. Knowing all these things, He loves us anyway. We do not need to try to pretend or hide. If we are open, honest and vulnerable with God, He is not going to punish us. But because He loves us too much to allow us to stay where we are, He will transform us. We need to own and acknowledge where we are so that He can take us to where He wants us to be. Let us be real with God. Let us be intimate with Him and not hide from Him any longer through fear. The whole world is looking at us, ambassadors of heaven, and seeing if we produce good fruit. Good fruit comes from the motivation of our spirit, not our soul. Where is our motive rooted, in our spirit or our soul? When we are living in intimacy with Him, when we are joined to the Lord and one spirit with Him (see 1 Cor 6:7), then we can bring heaven to earth as we reign in life. And be revealed as the sons the whole creation is longing for. 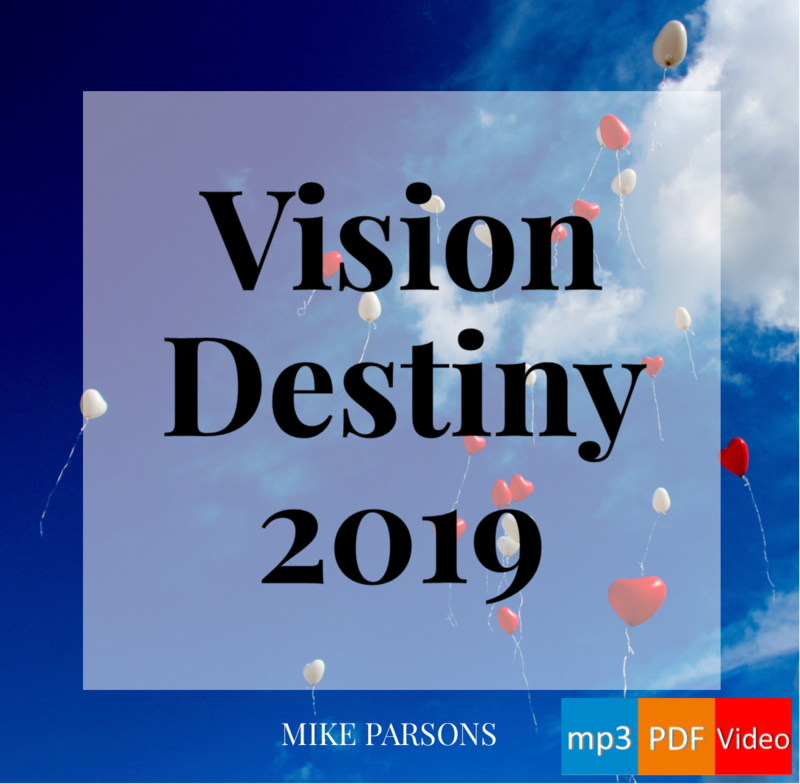 Ambassadors Of Heaven 2012 YouTube video and mp3 audio teaching series by Mike Parsons (this post has been updated from session 4). A new post and ‘timely’ (!) lead-in to what I’m drafting…thanks Mike, and Jeremy.